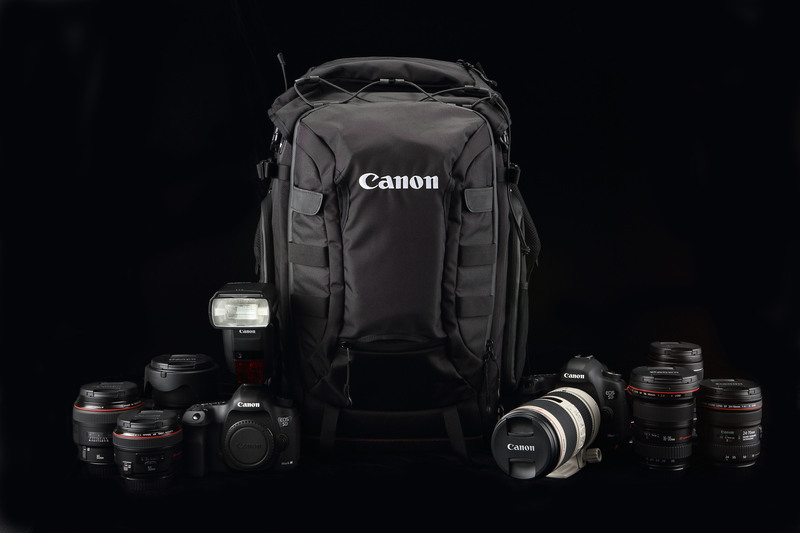 Canon today launched its first line-up of Canon bags, providing digital SLR and compact camera users with a wider variety of camera accessories. 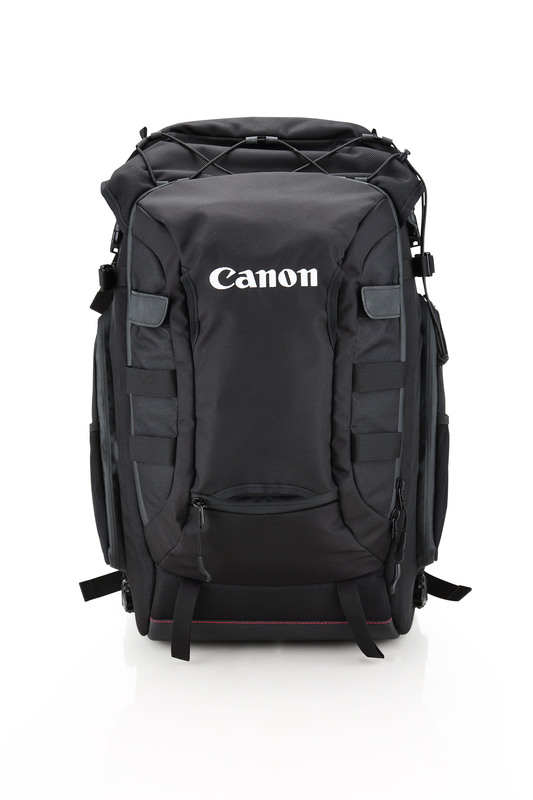 Designed with photographers in mind, Canon’s first line-up of bags features maximum durability and weather resistance, allowing users to safeguard their equipment with ease. Available in two categories – Professional and Classic, the bags and cases complement Canon’s extensive range of cameras and lenses. The Professional line features camera backpacks and shoulder bags catered to DSLR users whereas the Classic line carries camera shoulder bags and cases suited for both DSLR and digital compact camera users. Both lines feature craftsmanship of the finest quality, adorned with red threading that distinctly represents Canon’s brand identity. The RL PB-01 – available under the professional line, is a light weight full size back pack capable of fitting a full set of photographic equipment and a 15” laptop. Additionally, it is also able to hold a tripod and a pair of trekking poles. Unlike conventional designs, the RL PB-01 is designed such that there are various compartments to cater to different needs under various situations. For maximum security, equipment can be placed in a compartment that can only be accessed from the back. The quick access compartment located at the top of the bag also allows users fast and convenient access to equipment while on the go. The bag also features a waterproof zipper and a rain cover that helps in withstanding unpredictable weather conditions. Similarly, the RL PS-01 is a light weight full size shoulder bag that boasts a matching usability as that of the RL PB-01. The bag is designed with a handle at the bottom for easy access from cabin overhead compartments. To further ease the burden of users, the RL PS-01 can also be attached to a luggage wheeler to minimise the carrying load. The two bags under the classic line – RL CL-01M and RL CL-01S – come in different sizes to suit the needs of a variety of DSLR users. Lightweight and compact, both shoulder bags feature side and front pockets for accessories, as well as a tough base that reduces impact of everyday wear and tear. In addition, there are three different types of cases for digital compact camera users to choose from out of the Classic line. Two of these three cases are specifically dedicated to PowerShot G1 X Mark II and PowerShot SX700 HS users and feature magnetic fasteners for quick access while the third case is a generic case that is suitable for all other digital compact cameras. 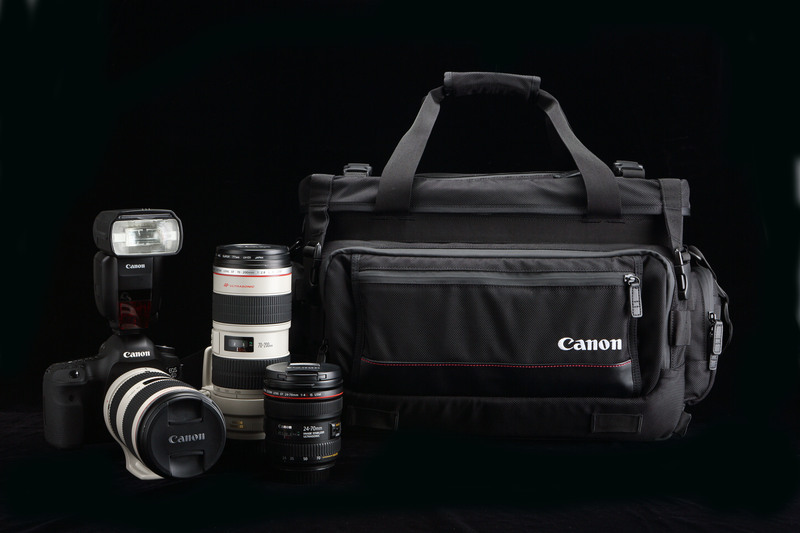 Canon’s line-up of bags is designed to last. The professional range of bags is made of 1680D nylon with plastic connectors made by DURAFLEX that is specifically built for heavy duty usage. The RL PB-01 also has a base that is made of Chlorosulfonated Polyethylene (CSM), a synthetic rubber material with the ability to resist chemical and extreme temperatures, providing protection against changing weather conditions. Similarly, the RL PS-01 is made from 80% CSM and 20% fiber. Users can thus be assured of the durability of the bags.